"Car Windshield Gooseneck Mount Holder For IPhone, IPod, Smart Cell Phone, MP3, PDA"
InvisibleShield Original also features the unique EZ Apply tabs to give you the easiest, most precise, and bubble free application possible. Easy Application: Smart EZ Apply tabs make applying your Original simple, accurate, and bubble free. Google Nexus 6. Made for the Google Nexus 6. Invisible Shield. Screen Protector for. InvisibleSheild Original Screen protector. Military Grade protection. Sleek, Tough, and easy to apply. Scientifically formulated with smart molecules to heal from scratches and dings over and over. Defend Your Device. Applying the overlay is fast and easy. Simply clean your phone screen with the included cleaning wipe, peel the overlay from its backing and place it onto your screen. Then use the included smoothing card to push away creases and bubbles. Gorilla Tech presents its Premium Tempered Glass Screen Protector forApple iPhone 6S and iPhone 6. It protects your iPhone from knocks and scratches. Full Screen Cover Gorilla Tech Tempered Glass Screen Protector for iPhone 6S and iPhone 6. Gorilla Tech presents its Premium Tempered Glass Screen Protector forApple iPhone 6S Plus and iPhone 6 Plus. It protects your iPhone from knocks and scratches. Full Screen Cover Gorilla Tech Tempered Glass Screen Protector for iPhone 6S Plus and iPhone 6 Plus. PanzerGlass Original screen protection for iPhone 6 Plus is shock and scratch resistant and preserves 100% touch sensitivity when applied. PanzerGlass is easy to install due to the self-air bubble removal and the anti-oleophobic coating makes sure you have a hygienic and fingerprint-free experience. Trending at $9.01eBay determines this price through a machine learned model of the product's sale prices within the last 90 days. Full Screen Cover Gorilla Tech Tempered Glass Screen Protector for iPhone 6S Plus and iPhone 6 Plus Gorilla Tech presents its Premium Tempered Glass Screen Protector forApple iPhone 6S Plus and iPhone 6 Plus. Trending at $1.78eBay determines this price through a machine learned model of the product's sale prices within the last 90 days. All our products are designed and produced in result of our passion for protection. It protects your Phone from knocks and scratches. Fingers glide across just like your original glass screen.Product Features. Gorilla Tech Tempered Glass For HTC One A9. All our products are designed and produced in result of our passion for protection. Gorilla Tech always looks beyond the conventional to discover new ways to do things better. Samsung Galaxy S4 Active i9295. The precision pre-cut invisibleSHIELD applies directly to your Samsung Galaxy S4, providing the toughest, most durable protection you will find. The invisibleSHIELD has its origins in the military, where it was used to protect high-speed helicopter blades from dust, dirt and debris. Gorilla Tech™ presents its Premium Tempered Glass Screen Protector forSony Xperia E4. It protects your Phone from knocks and scratches. Fingers glide across just like your original glass screen.Product Features. ZAGG invisibleSHIELD. APPLE IPHONE 4. SCREEN PROTECTION ONLY. -Invisible protection-. -Scratch-Proof - patented film - Military Grade-. These look like they have been used but it is due to myself checking that the film on top peels of ok.
Toughened glass has high transparency, and color never changes. 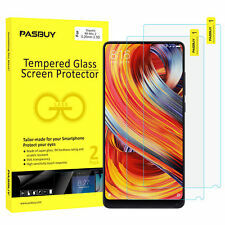 Tempered glass protection screen is made with specially processed glass to protect the screen of the device from shocks and scratches by effectively in absorbing the impact. This Military Grade InvisibleShield Original screen protector is the ultimate protection for your phone. - Enter the quantity of the case in the box above. We aim to reply as swiftly as possible. Tempered Glass Explosion Proof Screen Protector For Samsung Galaxy A3 A310F 2016. The precision pre-cut ZAGG applies directly to your device, providing the toughest, most durable protection you will find. The ZAGG has its origins in the military, where it was used to protect high-speed helicopter blades from dust, dirt and debris. The specially designed PanzerGlass is only 0.4 mm thick and fits perfectly onto the device. With rounded corners and edges, the protective glass is also extra resistant to destructive impacts and shocks to the display's most vulnerable areas. Note: This protector is compatibleonly withSamsung Galaxy J7 (2016), it is not compatible with Samsung Galaxy J7 (2017), Galaxy J7 (2018) and Galaxy J7 or any other phone model. Galaxy J7 (2016) Gorilla Tempered Glass. InvisibleShield Original also features the unique EZ Apply tabs to give you the easiest, most precise, and bubble free application possible. ZAGG InvisibleShield Original Full Body Screen Protector. For Samsung Galaxy S6 Edge. OFFICIAL ZAGG MILITARY STANDARD FULL BODY SCREEN GUARD FOR SAMSUNG GALAXY S6 EDGE. InvisibleShield Original also features the unique EZ Apply tabs to give you the easiest, most precise, and bubble free application possible. InvisibleShield Original also features the unique EZ Apply tabs to give you the easiest, most precise, and bubble free application possible. ZAGG InvisibleShield Original Screen Protector Guard. For Samsung Galaxy S6. Trending at $2.79eBay determines this price through a machine learned model of the product's sale prices within the last 90 days. OFFICIAL ZAGG MILITARY STANDARD SCREEN GUARD FOR SAMSUNG GALAXY S6 EDGE PLUS. InvisibleShield Original also features the unique EZ Apply tabs to give you the easiest, most precise, and bubble free application possible. StilGut products are the perfect combination of functionality and elegance. Watch on YouTube how to apply the glass easily - The video title: 'StilGut Screen Protectors - how to apply'. The Added Value of StilGut Products. The specially designed PanzerGlass is only 0.4 mm thick and fits perfectly onto the iPhone 6 Plus. With rounded corners and edges, the protective glass is also extra resistant to destructive impacts and shocks to the display's most vulnerable areas. 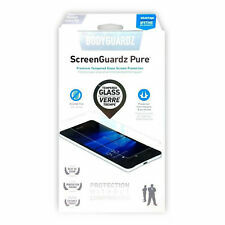 Made from chemically strengthened tempered glass exceeding the hardness of steel, BodyGuardz Pure™ Premium Glass Screen Protector sets the standard in protection. No matter what you’re protecting, BodyGuardz Pure is the clear choice. 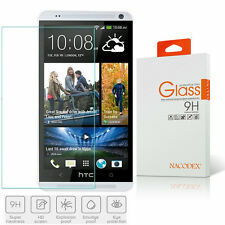 Nacodex HD Premium Tempered Glass Screen Protector for HTC One Max 5.9"
The tempered glass screen protector has a strong adhesive that makes installation easy and attaches the film firmly so as to not affect the touch screen's sensitivity. The Premium Tempered Glass has an oleophobiccoating that prevents fingerprints and other contaminants. 5 out of 5 stars - Nacodex HD Premium Tempered Glass Screen Protector for HTC One Max 5.9"
1 product rating1 product ratings - Nacodex HD Premium Tempered Glass Screen Protector for HTC One Max 5.9"
0.3mm thick premium-grade tempered glass screen protector provides maximum image clarity and ultimate touch screen sensitivity. Oleophobic coating prevents excessive fingerprints and oil stains from contaminating the surface, making it easy to clean. Flexible Gooseneck design allows the mount to be adjusted to the optimal viewing angle. Flexible Gooseneck length:12cm. Attractive rubber pieces carefully hug your smartphone's body safely. A flexible long wire can be adjusted to any comfortable viewing angle or distance you desire. 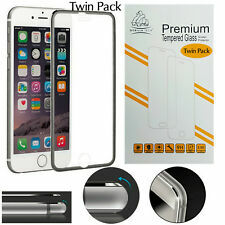 The Tempered Glass is 0.4mm thick and made with chemically treated transparent tempered glass. Can provide break protection and shock resistance. The Tempered Glass is coated on the back with a strong silicon adhesive that makes installation easy and the film attached firmly so as to not affect the touch screen's sensitivity. PASBUY® Microfiber Cloth. PASBUY® Dust Guide sticker. Compatible with HTC One E9 . We made it smaller to cover the flat portion of the screen and leave the curve edge. Made of Japan Glass with high quality 0.26 mm ULTRA Thin premium tempered glass with rounded edges exclusively. 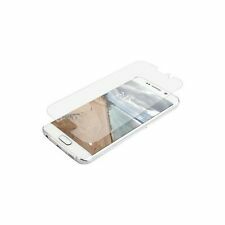 The precision pre-cut case friendly InvisibleShield original screen protector applies directly to the front of your Samsung Galaxy S6 Edge for advanced clarity and a glass-like surface. - Market Leaders - Millions of people can't be wrong InvisibleShield leads the way in device protection. Tempered Glass. Aluminosilicate Glass. Scratch Protection. PASBUY® Microfiber Cloth. PASBUY® Dust Guide sticker. Compatible with HTC One E8. We made it smaller to cover the flat portion of the screen and leave the curve edge. Made of Japan Glass with high quality 0.26 mm ULTRA Thin premium tempered glass with rounded edges exclusively. PASBUY® Microfiber Cloth. PASBUY® Dust Guide sticker. Compatible with HTC One E9. We made it smaller to cover the flat portion of the screen and leave the curve edge. Made of Japan Glass with high quality 0.26 mm ULTRA Thin premium tempered glass with rounded edges exclusively. PASBUY® Microfiber Cloth. PASBUY® Dust Guide sticker. Compatible with HTC One A9. We made it smaller to cover the flat portion of the screen and leave the curve edge. Made of Japan Glass with high quality 0.26 mm ULTRA Thin premium tempered glass with rounded edges exclusively. The Tempered Glass is 0.4mm thick and made with chemically treated transparent tempered glass. Can provide break protection and shock resistance. The Tempered Glass has an oleo phobic coating that prevents fingerprints and other contaminants and makes the film easy to clean.